Since its founding in 1996, Blue River Watershed Association (BRWA) has been a leader in designing innovative experience-based environmental education activities to improve the quality of the Blue River watershed and nearby streams. BRWA runs four innovative programs, T.R.U.E. 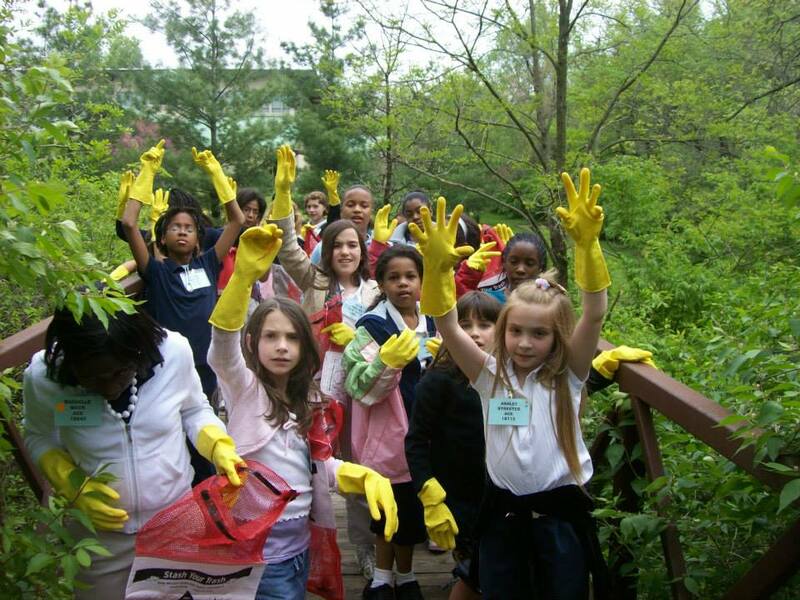 Blue, Macro Critter Count, KC Clean Streams, and Water Festivals for schools. In addition, it features downloadable watershed educational resources on its website. T.R.U.E Blue (Teaching Rivers in an Urban Environment) is a watershed literacy and water quality monitoring curriculum targeting students in 5th Grades and up. The TRUE Blue project trains and equips area teachers, students, and community members to establish school-based learning teams that monitor water quality throughout Kansas City watersheds. First, students and their teachers are trained in the classroom to perform ten chemical tests, using proper safety and procedural protocols. Next, students move to the field, where BRWA provides professional equipment, qualified staff, and community partners to facilitate field study. Macro Critter Count is a two-lesson curriculum that focuses on assessment of water quality by learning about and then evaluating the quantity and diversity of stream organisms. The curriculum is geared to students in 4th grade and up. High School biology classes have found this curriculum particularly effective, interesting, and engaging. Blue River Watershed Association staff schedule, train, and organize municipalities, communities, teachers and schools, to create Water Festivals at their elementary schools. Through games and play, 3rd graders are introduced to their watershed and causes of pollution, including chemical and storm water runoff, sewage overflows, etc. BRWA staff assist at Water Festivals, running stations, working with students and educating students and teachers. BRWA, with its partner agencies, created and engaged eight teams of underserved community youth by involving them in water quality monitoring studies, data collection, and community presentations and projects. Each team included a high school youth coordinator, an educator, and a mentor who is a professional in the field of water quality, environmental stewardship, engineering, biology, or similar field. Students shared their connection to the watershed with others through presentations and community projects designed by each team.